Commercial Rubbish Removal: How To Book Bin Services For Business! Commercial Rubbish Removal: How To Book Bin Services For Your Business! Commercial rubbish removal: as a private commercial business or organisation such as a school, hospital or charity etc – you will likely have to organise your own waste services and recycling. Some council areas continue to provide waste services to business (often referred to as trade waste) – for example see the pages from Woollahra council in Sydney metro region. If your council does provide this service to you, it can be the most cost effective option for smaller businesses. As you can see from this page however, the services offered can be limited i.e. focusing on smaller bin sizes and with limited waste streams – for example, the Woollahra council only provides services up to 660 litre bin sizes. 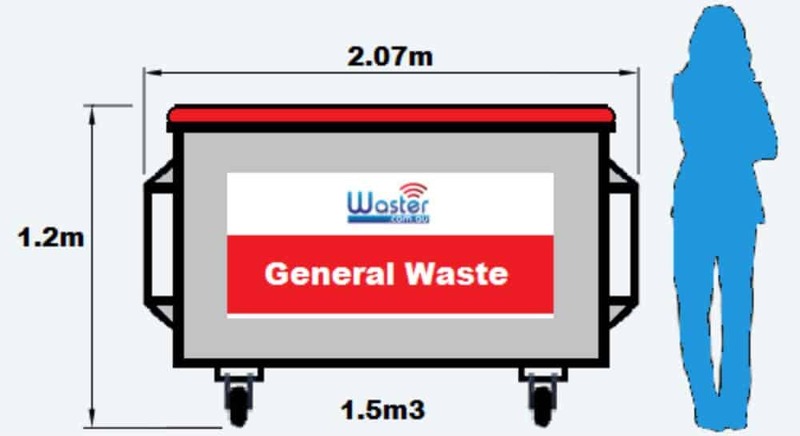 Check out our article on which is the right wheelie bin size for your business. This bin size will be too small for many businesses. “Business council rates do not cover waste and recycling collections. Residential properties receive these collections because their rates include a Waste Services Charge. To ensure you know how to avoid any pitfalls when arranging waste management services we have produced our consumer guide to buying waste and recycling services – which details 10 things to know before signing a waste management contract. We also recommend you have a quick read of a couple of our blogs on whether you need to sign a long term contract or how to draw up a basic waste management plan. What commercial rubbish removal services does Waster offer? Waster offers comprehensive rubbish collection and recycling services in all major metro regions and cities throughout Australia. Through our online waste shop, you can check prices and arrange waste collection services for locations in Sydney, Newcastle, Wollongong, Central Coast, Brisbane, Gold Coast, Melbourne, Geelong, Adelaide, Canberra, Perth, Darwin and Hobart. All Waster services are delivered on flexible 30 day agreements, meaning you will not be locked into long term contracts that do not suit you. Future Of Recycling: Can Australia Build Houses From Waste Plastic? Rubbish Bin Collection – Download Your Free Consumer Guide!